1PhD Researcher, Management & Science University, Malaysia and Senior Lecturer, Institute of Human Resource Advancement, University of Colombo, Sri Lanka. 2Vice president for Post graduate, Business & Social Sciences Cluster and Dean, Graduate School of Management, Management & Science University, Malaysia. 3Senior Vice-president for Research, Innovation, Technology & System, Management & Science University, Malaysia. Cite this article: Hemakumara M.G.G., Khatibi A.A., & Johar M.G.M. (2019). Organizational Citizenship Behaviour Among Administrative Staff of State Universities in Sri Lanka. International Journal of Arts and Commerce, 8(1), 16-21. Copyright: © 2019 Hemakumara et al. Organizational Citizenship Behaviour (OCB) is a type of employee behavior which encourage them to go beyond the expected work level from the organization, which benefit both employees and organizations. 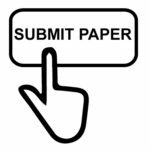 As this is relatively new management concept, this research paper aims to explore the nature of organizational citizenship behaviour among the administrative staff of 15 state universities in Sri Lanka. Primary data collected using an established questionnaire with modification to suit Sri Lankan university background. Out of 178 distributed questionnaires, 168 usable questionnaire were returned making it 71% response rate. SPSS package was used to analyze the data. The findings of the study shows that the existing level of Organizational Citizenship Behaviour among administrative staff of state universities is high. The overall mean value is close to the level 4 of 5 likert scale, confirm this high level. Further the study found that all the five dimensions, such as altruism, conscientiousness, sportsmanship, courtesy and civic virtue are having high levels among the administrative staff of state universities in Sri Lanka. Therefore the management of state universities in Sri Lanka must make sure to maintain this outstanding levels as it benefit both employees and the organization. Organizational Citizenship Behaviour (OCB) plays an important role in determining organizational performance and contribute organizational effectiveness. Therefore OCB is important not only to organizations, but also to employee benefits (organ 2018). Employee OCB makes delivering better services and products. Further OCB reduce employee turnover, enhance employee commitment to the organization, improve job satisfaction and economized organizational resources. (Demirelet et al 2018; Mehdizadeh et al 2018; Organ 2018). It is a well known fact that universities are academic entities. But in addition to academic entities, universities are being performing as several other entities such as academic communities, entrepreneurial organizations, resources centers and as public bureaus (Kivisto&Packkola, 2017). Therefore OCB could help the effectiveness of such a complex and huge universities. The OCB has become a common topic among management researchers in other countries and other sectors (Organ, 2018). Therefore the aim of this study is to examine the OCB among the administrative staff of 15 state Universities in Sri Lanka. The concept of OCB is relatively new management concept and having the attention of many researchers. Many studies have reveled that OCB contributes in many ways to an organization, such as increasing productivity, increasing organizations effectiveness and competency, fulfilling its purposes and objectives and increasing the moral of employees (Demired et al 2018). Mohamed (2016) defined OCB as the type of employee behavior that motivate individual to go beyond the expected work level from them by the job description and the organization. Further OCB benefits both employees and the organization. According to Zeyada (2018) OCB is a optional and voluntary human behavior that an individual would play. The OCB is not aim to fulfill employees personal needs and benefits but to improve organizational engagement. OCB is important for both the organization and individual because it improve overall institutional performance by maintaining reciprocal relations among managers and employees attached to different sections, improve unity and cohesion of the institution and minimize the need of scare resource allocation. There are five dimensions of OCB such as altruism, conscientiousness, sportsmanship, courtesy and civic virtue. Altruism is the helpfulness or helping behavior of individuals or employees. Conscientiousness is the discretionary behavior which goes beyond employees minimum work needs of the job, such as working extra hours, not obtaining extra breaks, obeying organizations regulations and rules. Sportsmanship is the employees willingness of tolerating their own inconveniences and performing the work without complains, appeals, grievances, accusations or protests. Courtesy is the behavior which help to prevent creating of issues or problems for other workers and try to reduce intergroup conflicts. Civic Virtue is the individuals involvement and concern about organizational life, monitor organizations opportunities and threats, look for the best interest of the organization and active participation in managerial events (unul, 2013). This is a descriptive study and attempts to inquire in to the OCB among the administrative staff of State University in Sri Lanka. Research design was single cross sectional and a self-administrative Questionnaire was used to collect the primary data. There are 238 administrative staff attached to the 15 state universities in Sri Lanka, which is considered as the population of this study. Out of that 178 Questionnaire were received but there were only 168 usable Questionnaires. There for the actual response rate was 71%. OPEREATIONALIZATION OF ORGANIZATIONAL CITIZENSHIP BEHAVIOUR. The five dimensions of OCB used in this study are altruism, conscientiousness, sportsmanship, courtesy and civic virtue. The OCB scale developed by Bez (2010) used in this study to collect the primary data. The Questions were rated on 5 scale Likertscall one to five. One represent strongly disagree while five represent strongly agree to the statement. There are 168 administratives who has responded in the study. There are 69 (41.7%) male administrative officers and 99 (58.3%) female administrative officers represent the total of 168. The majority of administrative officers (57.3%) are in between 31 – 45 years of age. In the sample 100 (59.5%) administrative officers are having 1 – 5 years of experience in the present post. There are 33 (20%) administrative staff members who have 6 -10 years of experience. Table 1 summaries these information. According to the descriptive statistics, the mean OCB among the state university administrative staff is 3.989 + 355. Since the mean, median and mode values are closed to each other, the data can be assumed symmetrical. This values presented in Table 2. The table 3 shoos the mean values of 5 dimensions of OCB, Which reveals that mean values of altruism, conscientiousness and courtesy are above 4. The values of sportsmanship and civic virtue are also colese to 4. There are 238 administration staff attach to the 15 state universities in Sri Lanka. Out of that, 168 (71%) participated the survey of this study. Since the participation rate is 71%, the findings could be generalized particularly to the administrative staff of Sri Lankan state universities and generally to the administrative staff in other industries or sectors. The study confirm that there is a high level of OCB among the administrative staff of state universities in Sri Lanka. The mean, median and mode values on OCB confirm this conclusion. Three dimension of OCB existing high levels. These are altruism, conscientiousness and courtesy. Sportsmanship and civic virtue reported low levels comparatively. However mean value these two dimensions also closed to 4. Since OCB improve the effectiveness of universities, the management of those institutions must take prompt actions to maintain the present high levels of altruism, conscientiousness and courtesy. Most importantly, the university management must take action to improve civic virtue and Sportsmanship among the administrative staff. There are three employee categories in universities such as academic staff, administrative staff and, non-academic staff. Since this study limited only on administrative staff, future studies could expand to cover these two employee categories of universities. Since OCB is benefited for organizational effectiveness, other than universities, this type of studies could be recommended to other institution and organizations not only in the academic field but also in other fields. Demirel, Y., Elhusadi, I., &Alhasadi, A. (2018). The Relationship between Organizational Citizenship Behavior and Organizational Factors. International Journal of Business and Management Invention (IJBMI), 7(3), 27-39. Hill, K. C. (2018). Managing Employee Motivation Through the Process of Government Furloughs. Jensen, J. D. (2018). Employee Motivation: A Leadership Imperative. International Journal of Business Administration, 9(2), 93. Kivistö, J., &Pekkola, E (2017). Quality of Administration. Mehdizadeh, S. M. T., A. Salajeghe, S. Sheikhi, A. (2018). Designing Model of Organizational Citizenship Behavior and Health Administrative “Issued by Supreme Leader” By mediator organizational spirituality. Iranian journal of educational Sociology, 1(8), 97-107. Mohamed, W. S. E. D. (2016). Investigating the Relationship between Job Satisfaction and Organizational Citizenship Behavior AmongBeniSuef Cement Company Employees. 6(5), 2-7. Nabi, M. N., Islam, M., Dip, T. M., &Hassain, A. A. (2017). Impact of motivation on employee performances: a case study of Karmasangsthan bank Limited, Bangladesh. International Journal of Business and Management, 5(4), 57-78. Organ, D. W. (2018). Organizational Citizenship Behavior: Recent Trends and Developments. Annual Review of Organizational Psychology and Organizational Behavior, 80, 295-306. Saeed, R., Mussawar, S., Lodhi, R. N., Iqbal, A., Nayab, H. H., &Yaseen, S. (2013). Factors affecting the performance of employees at work place in the banking sector of pakistan. Middle-East Journal of Scientific Research, 17(9), 1200-1208. Sri Lanka university statistics 2016. University Grants Commission Ünal, A. P. Ö. F. (2013). Relationship between the facets of job satisfaction and the dimensions of organizational citizenship behavior: Mediating role of organizational commitment. SüleymanDemirelÜniversitesiİktisadiveİdariBilimlerFakültesiDergisi, 18(1). Zeyada, M. (2018). Organizational Culture and its Impact on Organizational Citizenship Behavior. International Journal of Academic Research in Business and Social Sciences, 8(3), 418-429.